La Pelanga, the blog, has been up and running for well over a year now and with great respect we have to acknowledge some of the great music blogs out there that have influenced, encouraged, and better informed our musical awareness. One such blog is Super Sonido which is wonderfully curated by our East Bay neighbor Joe Franko (sonido franko). Of the many record collecting blogs I traffic his by far is one of the best and one which we highly recommend visiting if you like ours. 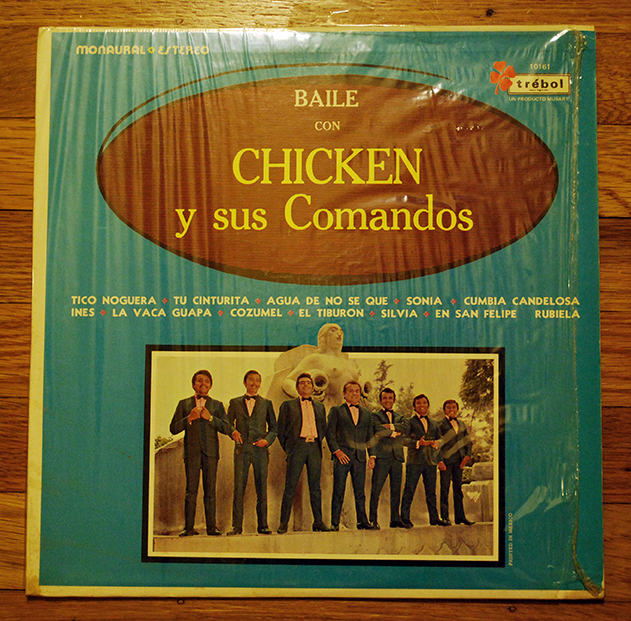 Last year I picked up an incredible Yucatan record (Baile Con Chicken y Sus Comandos by Chicken Y Sus Comandos) that I now play at every Pelanga due to first getting turned onto them by this post on Super Sonido. Those familiar with the original version of Cumbia Candelosa by Edmundo Arias will immediately pick up on how these Yucatecos really take this song into whole other gear by putting some serious swing into it. I never get tired of the call and response between the sax and keys, then the chorus comes in to seal it all up. 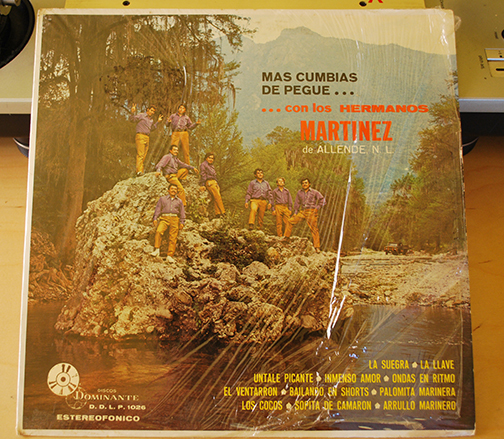 From this record I have since discovered more of these great early Mexican cumbia groups like this hopping record Mas Cumbias De Pegue by Hermanos Martinez de Allende, N.L. Take a listen to a really fun song Bailando en Shorts. Despite this group hailing from much father North (Nuevo Leon) near the cumbia hotbed of Monterrey it carries a very similar interpretation of cumbia Colombiana as Chicken’s — heavy swing with that back and forth between the horns and keys. 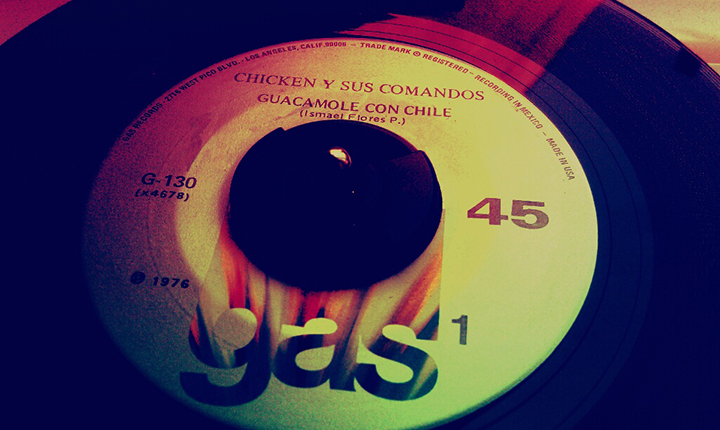 Cumbia has taken may diversions within it’s time in Mexico, but this early style is one of my favorites. Bailando En Shorts by Hermanos Martinez De Allende, N. L.
If you haven’t gotten word yet. We’re throwing una Pelanga en La Peña in Berkeley, California on Friday, February 25 (see all the info here) to help raise money for the flood relief efforts in Colombia. Come through and shake up the dance floor with us!